Our organizational structure is modeled on a decentralized, participatory style of self-governance. It is our belief that this creates a more equitable and collaborative workplace, as well as a more immediate, informed and personally responsive commitment to serving our community. Todd grew up in Mobile, Alabama and has lived in Sonoma County since 2009. 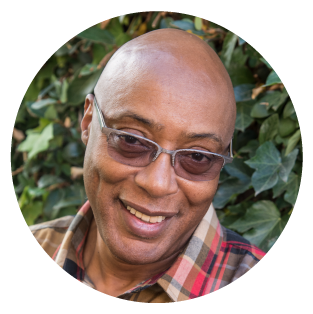 He received a BA degree in cultural anthropology and an MA in psychology, both from Sonoma State University. He has worked with youth through coaching soccer, in residential facilities, and as an instructional assistant before joining Restorative Resources. Todd began at Restorative Resources as a community volunteer before assuming the role of Secondary Schools Training Manager. He is committed to exploring the deepest potential of human beings and participating in the development of a new cultural narrative that honors all life as one sacred, interconnected being. "The foundational truth of the restorative process, that we are all interconnected, allows for all who participate to directly experience how our individual story is part of one great story, and it shows us how much we are needed and how we can contribute." Maria Freebairn-Smith is passionate about bringing restorative practices into schools, families and communities. Her mission is to encourage parents and educators to model and inspire positive and collaborative problem-solving with children. She is a professionally trained mediator, parenting coach and educator with twenty years of experience working with families. She holds a degree in Psychology from Barnard College, Columbia University with advanced trainings in early childhood education, conflict resolution and creative expression. She has helped start and oversee four non-profits: Sunridge Waldorf Charter School, Open Circle Cooperative Preschool, The Center for Creative Exploration and Drawbridge: An Arts Program for Homeless Children. 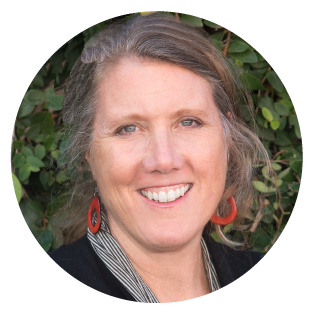 She has most recently founded the Creative Parenting Center in downtown Sebastopol, CA and has a private practice specializing in co-parenting through separation and divorce. Vicky has decades of experience creating marketing materials for national corporations and small local businesses in the North Bay. As a freelance contractor, she’s worked for a diverse range of community based organizations – from the Redwood Empire Food Bank to RotaCare, Marin County’s free medical clinic – as well as helping to create outreach material for the Press Democrat’s Celebrate Community. Vicky has called Sonoma County her home for 20 years and lives with her wife in Sebastopol. In her spare time, she is happiest in the garden or cooking, and is an active volunteer for the Ceres ​Community Project. Oakland native Liliana Sanchez has her bachelor’s degree in Human Development from Sonoma State University. She completed her year of service with AmeriCorps Vista and through the City of Santa Rosa Community Engagement Liaison. In this capacity, she created partnerships with numerous community-based organizations. Additionally, she organized 170+ volunteers to participate in neighborhood events, fundraising drives and a neighborhood revitalization project. She also developed public safety information pamphlets and translated them into Spanish. Born and raised in the foothills of the Sierra Nevada Mountains in Northern California, Mariah moved to the San Francisco Bay Area to obtain her Bachelor of Fine Arts in drawing and design from Dominican University of California. With over fifteen years of experience in the textile, fine art, and print industries, she now works as a freelance designer from her home in West Sonoma County. Jane has worked at Restorative Resources since March 2009. She received her MSW from UC Berkeley and has worked with youth and adults in a variety of schools, medical facilities and agencies providing social, mental health and mediation services. At Restorative Resources, Jane combines her strong interest in working with at-risk youth and their families with a dedication to social justice and supporting the rights and interests of all members of the community. She has served on several school boards (both public and private) as well as the Board of Recourse Mediation Services. Jane enjoys spending time with her 3 adult children, creating ​pottery and hiking. Iris has recently facilitated community building and healing group processes, in both English and Spanish, within community settings and inside of prisons. She has also worked as a translator and English teacher, as well as a volunteer facilitator, for the Alternatives to Violence Project in La Paz, Bolivia. She also worked as a childcare provider in Cusco, Peru. And, closer to home, she’s been active as a youth advocate with VOICES Sonoma Youth Center, and was involved with the California Youth Connection in Oakland and North Bay Organizing Project in Santa Rosa. And finally, she’s also a certified yoga teacher, trained in the science of Kundalini Yoga. Born and raised in Sonoma County. Rai brings a wide range of knowledge to the Restorative Resources team. His passion for social justice is what sparked his journey in critical action for social mobility among marginalized youth. He hopes to challenge social barriers in relation to his community and start a wave of likeminded individuals retaking control of their life through organizing. Currently as a student at Sonoma State University. Rai is on a journey in obtaining his bachelor’s degree in Political Science while preparing himself to apply for graduate school to one day receive a Ph.D. in Social Policy to return home and put his newly founded knowledge to work. Yanin Torres is a womyn and first generation college student, who is attending Santa Rosa Junior College. She plans to transfer to Sonoma State University, where she will receive her bachelor’s degree in Psychology with a minor in Social and Behavioral Science. Yanin’s passion for helping the community and also youth, is what inspires her to work with Restorative Resources. Growing up, Yanin has overcome many obstacles and barriers, and as a result wants to empower and show youth where their true power lies, in order to make positive and educated decisions, and contribute positively to their community. She enjoys the ocean, especially being out in Bodega Bay. Due to her busy school and work schedule, when time allows it, she enjoys spending time with her family and friends. She loves learning about her culture, and being able to empower others with the rich history that is rarely ever shared with people of color. Kim is an MSW intern (Masters in Social Work) from Boise State University will be working with Jane Weil. She is currently a certified dog handler with Canine Companions for Independence, but has always had a strong interest in Restorative Justice. She will be learning Restorative Justice and Practices with us; attending circles and providing program support as needed.